Australia’s pending move to ban most forms of online gambling, recently delayed but still on track to occur as early as June, continues to send waves throughout the global online-gambling industry. Among the most recent developments is an advisory of sorts that was sent out by Gibraltar’s online-gambling regulators, more specifically the office of the Gambling Commissioner, that it’s time to pull the plug on those “grey market” Aussie-facing services. That Gibraltar’s online gambling firms are planning that exodus from Oz hasn’t been a secret, with a handful of companies already departed from the Australian online scene. Most companies are hanging on to the gritty end for whatever incremental income they can generate in that market’s few remaining weeks. There’s no reason to assume that Betreels Casino or parent company Nektan was being singled out, and that was quickly confirmed by Gambling Commissioner Phil Brear’s office. 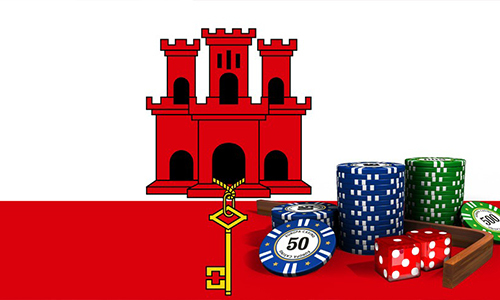 Indeed, Gibraltar’s Gambling Commission has sent such as an advisory to all 30 online-gambling firms currently domeciled in Gibraltar. Among those 30 firms, Cassava Enterprises already pulled its 888poker brand from the Aussie market several months back. 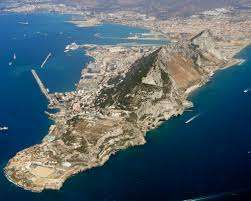 The Gibraltar firms face plenty of turbulence on the home front as well. As we’ve previously reported, the protectorate’s online gambling firms — not to mention the promontory itself — are caught in the UK’s Brexit battle and Spain’s centuries-long attempt to reclaim a form of sovereignty over the land, which was turned over to British control more than three centuries ago. In one heck of a segue, over to the opposite side of the globe, by the time Australia gets around to shutting down most of the country’s online gaming, there’s not going to be much left anyway. Officially, the country will only be allowing online sports wagering, and the battle continues over reducing the visibility of that activity as well within the Aussie mainstream. The legal online sports betting in Australia also gets its own trimming back, in the form of an official crackdown on in-play wagering. However, it’s not stopping there… if the gambling foes who have driven the country’s reduction of gambling opportunities continue to have their way. A new trade body, Responsible Wagering Australia (RWA), is part of a growing push amid the country’s ongoing gambling reform to limit or bar entirely advertising for gambling services on the air while a given game is being played. Such a ban would be a natural counterpart to the coming ban on online in-play wagering, but the country isn’t going there just yet. The RWA, headed by former Labor Party Senator Stephen Conroy, also enjoys a limited amount of industry support, particularly from Aussie-licensed firms Sportsbet and CrownBet. Yet there’s a flavor of “go along to get along” about all of it, even though it’s framed, for expediency’s sake, as improving the industry’s mainstream image. Whether or not any sort of advertising curtailment emerges in the near future, Australia’s online-gambling scene is undergoing reformation. It has that much in common, at least, with the happenings in Gibraltar. Cause and effect indeed.